Haunted house movies seem to be all the rage these days. I don’t know why – the ghosts in all these films do the exact same thing: open and shut doors, wastefully turn on and off the lights, make sounds in rooms you’re not currently in, rearrange the furniture in a way that is very displeasing to feng shui… But hey, I’ll take a ghost movie over, say, non-alcoholic beer any day of the week. The latest one to cash in is The Invoking, which borrows liberally from just about every other haunted house movie ever made in the history of the world. 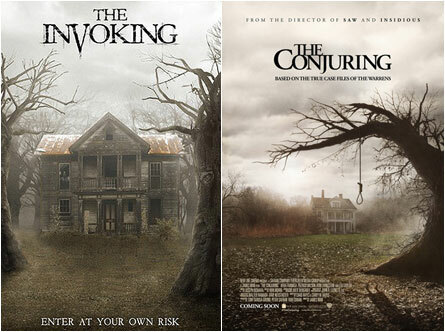 For starters, the first sales art for The Invoking looks a heckuva lot like The Conjuring (2013). Not cool. You’d think they could come up with something a little more original. If this was my movie, the first thing I’d do is put a robot in there. 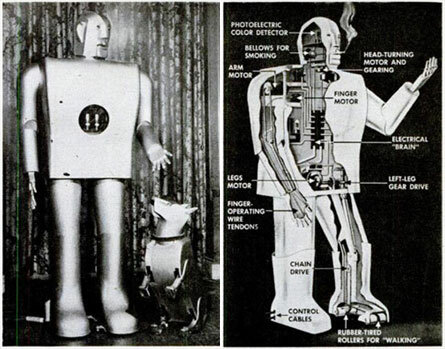 You can never go wrong with robots. Also, ghosts can’t scare robots. Neither can poltergeists. This entry was posted on November 12, 2013 at 3:47 pm and is filed under Classic Horror, Evil, Ghosts with tags Classic Horror, Evil, feng shui, Ghosts, haunted house, non-alcoholic beer, Poltergeists, robots, The Conjuring, The Invoking. You can follow any responses to this entry through the RSS 2.0 feed. You can skip to the end and leave a response. Pinging is currently not allowed.